Courts may order addiction treatment for one of two major reasons. First, in very specific cases, someone may petition the court to issue an order for involuntary admission of a loved one for addiction treatment. This usually requires the family to prove that the person struggling with addiction is no longer able to make a reasonable decision on their own and may be putting themselves or others in danger due to drug or alcohol abuse. More often, courts order substance abuse treatment when someone is in the criminal justice system. 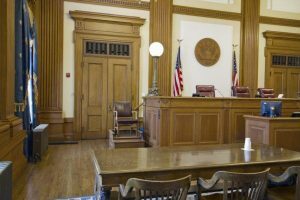 If the person has been accused of a nonviolent crime and the judge feels that substance abuse or addiction played a role in the commission of that crime, he or she may be able to order rehab treatment in lieu of some or all jail time. Successfully completing court-ordered rehab is actually more common than you might think. Individuals may not have turned to treatment voluntarily, but they often have legal and freedom motivators on top of a desire to become sober for the sake of a life without drugs or alcohol. In Ohio, to meet court-ordered rehab requirements, you must work with a rehab facility that is court-approved. Alliant Treatment Center is on that list, and our experienced staff works with you to meet the requirements of a court-ordered outpatient stay — including any necessary documentation about your progress or participation. Ready to begin the recovery process? Call today for more information and to schedule an appointment: No Waiting list. No Barriers.